I am excited to share my Mother’s Day Tablescape with you, but first, I’d like to welcome those of you who are coming from Kara’s Party Ideas. 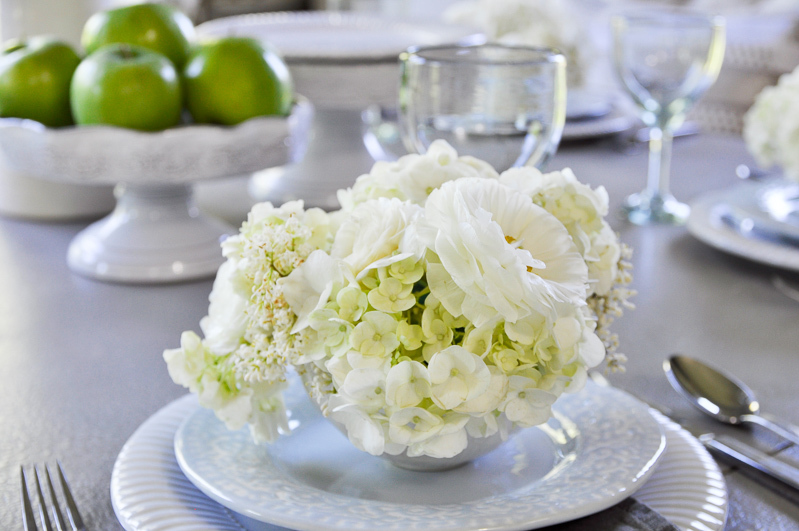 Don’t you just love her Fresh Lemon Mother’s Day Tablescape? It’s so bright and cheerful!!! Her entire website is fabulous and one of my new favorites. I’d also like to thank my sweet friends Kelley and Randi for organizing this fun blog hop and for inviting me to join them. You can find each of their amazing websites here and here as well as their Mother’s Day posts below with all 18 of the talented bloggers who will be joining us today. How much do we owe our mothers? That would be a tough question to answer. As a mom myself, I know I always appreciate anything my children do for me no matter how big or small it may be. With Mother’s Day around the corner, I thought it might be nice to focus on how we all could make our moms feel special. Instead of taking her to lunch or dinner with the throngs of your fellow neighbors, let’s plan a special meal for her right here in your very own home. She has prepared your favorite meal countless times. Let’s do that for her today. I realize most of us (raises hand) are not executive chefs. This should not be a daunting task. This is why they invented take-out. Can I get an amen? Seriously, no matter the source of the meal, your mom is going to know that you are doing it out of love for her. 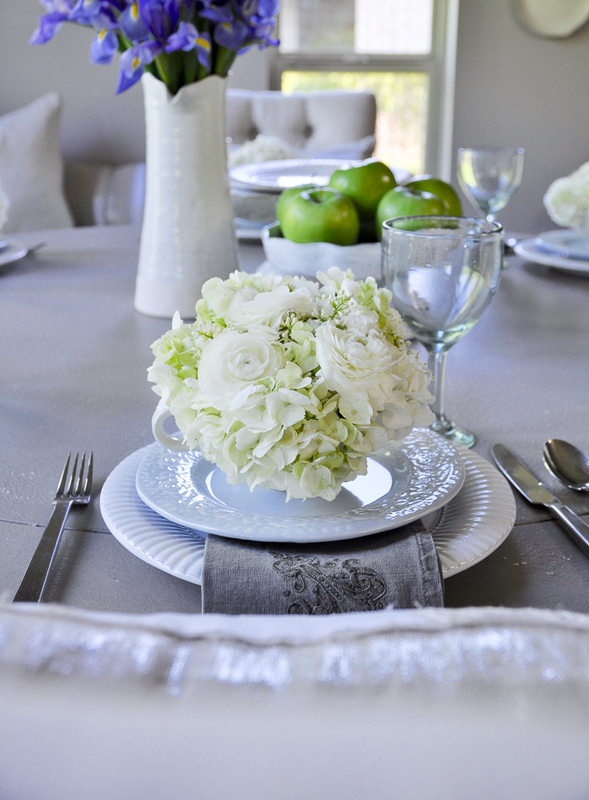 While I cannot give you a step-by-step guide to gourmet cooking, my husband jokes that I could burn water, I can offer you a plan for setting the perfect table in your home. 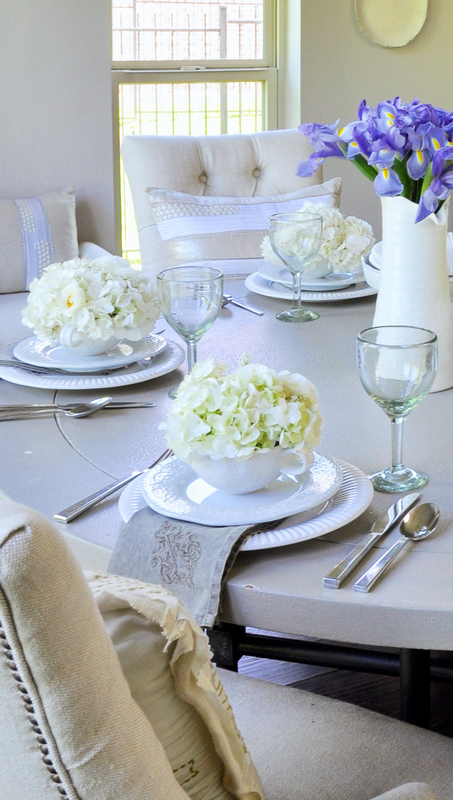 The tablescape I am sharing with you today will hopefully function as a canvas and foundation that will be equally nice for a variety of occasions. I love my mom very much. On this, her special day, I have prepared our breakfast room table for her and our guests. 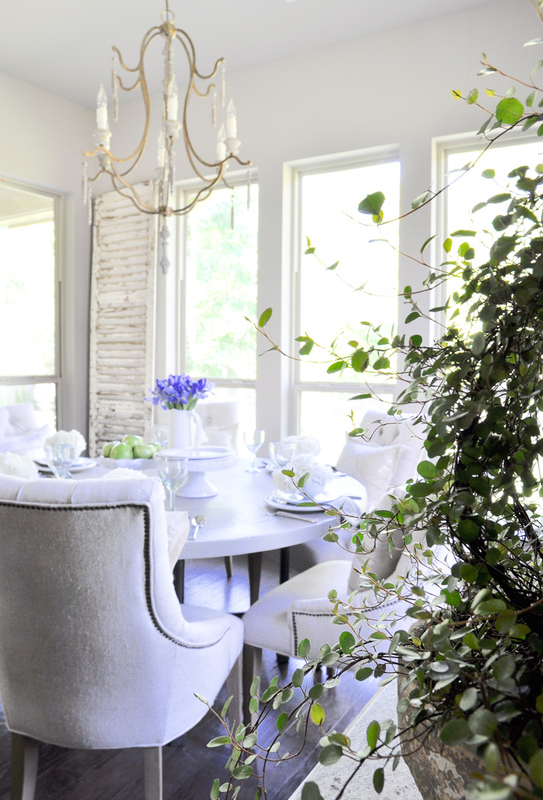 I chose this room because of the abundance of natural light and its more informal setting for a Mother’s Day brunch. 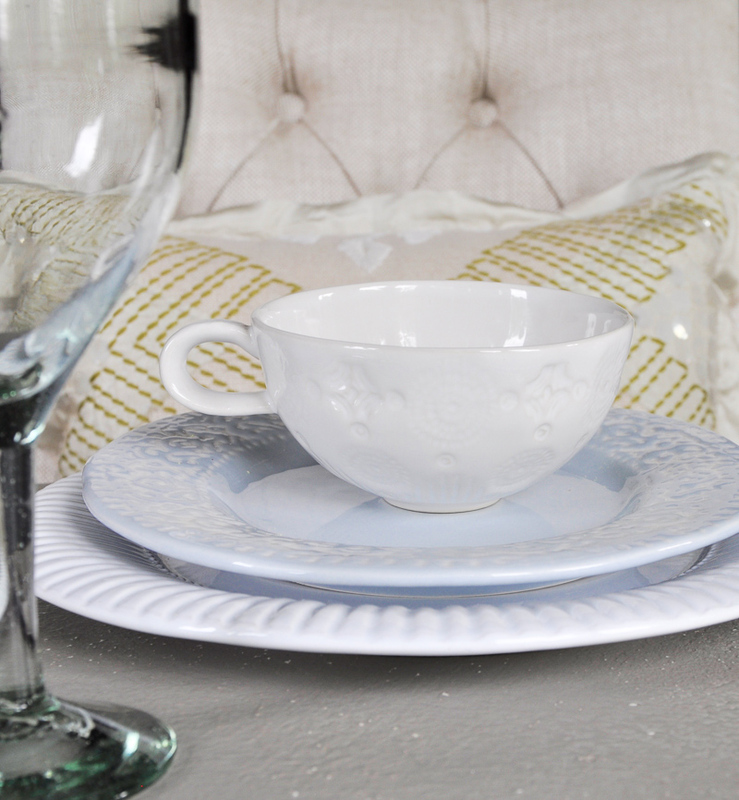 Now, you do not need expensive white china to pull this off. But, what you do need is fresh flowers. They always have a place on my table. You all know how I love utilizing items beyond their primary function, right? Introducing the teacup vase. Here is one of the teacups before I added the arrangements. First, I filled them with floral wet foam. When it comes to adding the flowers, I always start the process by adding the largest ones first. 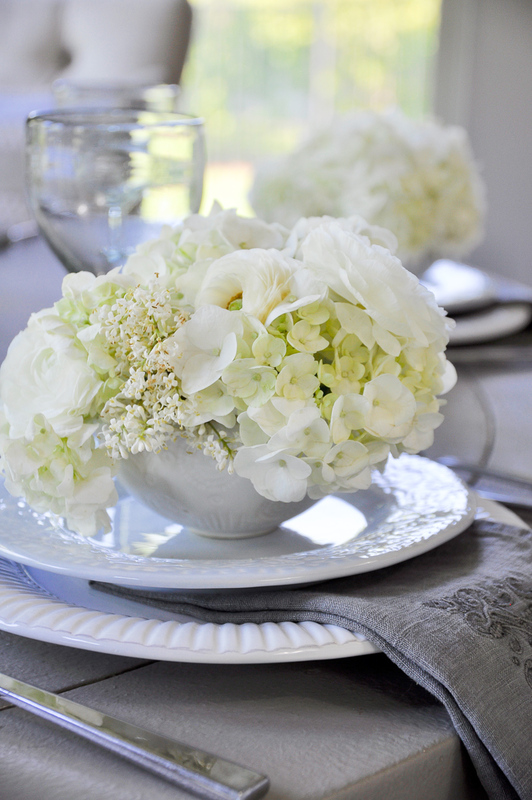 Therefore, I start with the hydrangeas followed by the ranunculus. Lastly, I clipped some tiny white flowers off of the ligustrum in my yard to fill the gaps. It was so easy! I used kitchen items to complete the look. 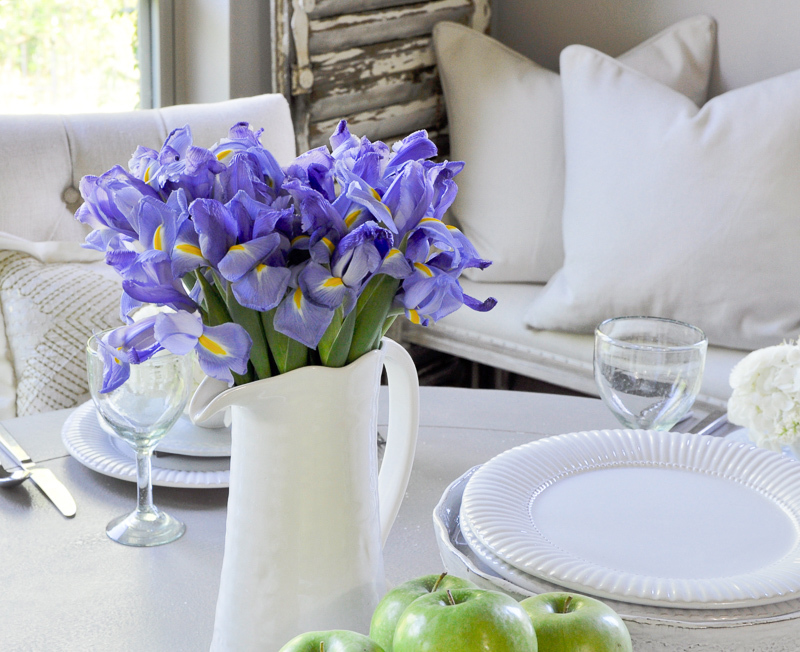 The cake stands and pitcher full of iris’ fit in perfectly with my theme. 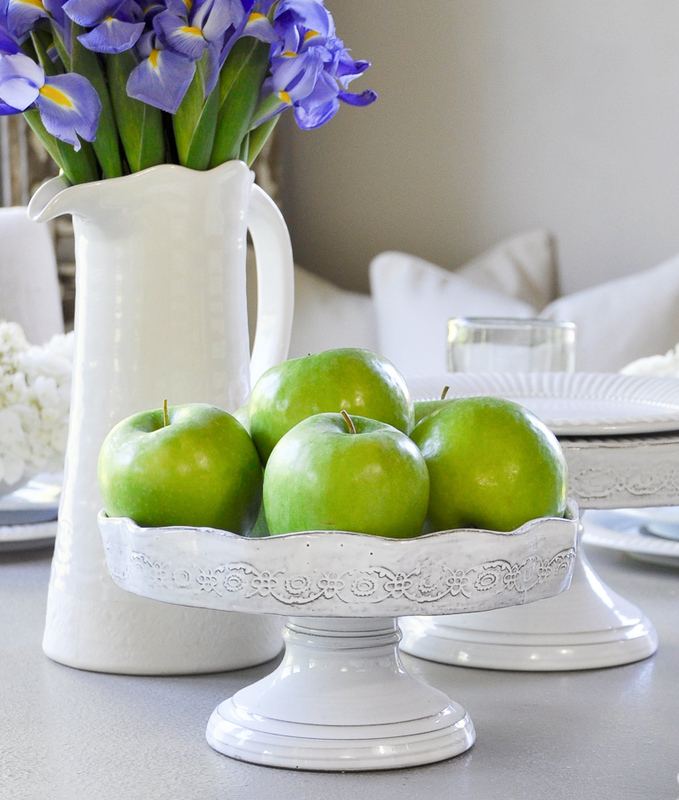 I hope you can see that you don’t have to buy anything new to create a centerpiece. Remember, this idea can be used for a baby shower, a bridal luncheon, or a birthday luncheon…you are only limited by your imagination. 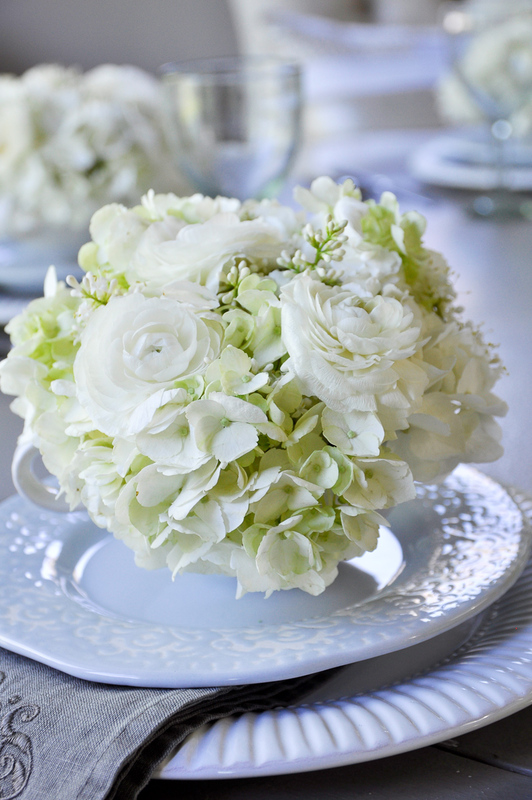 To keep the look fresh, simply switch out the flowers or cups/vases as needed. How much do we owe our moms? More than most of us could ever quantify. While this is still a tough question to answer, hopefully she will be delighted by the idea shared here today. I would love to hear your thoughts and comments below. Happy Decorating to all of the moms out there! *Some affiliate links were used in this post. Be sure to head over to Tamara’s CitrineLiving next for more Mother’s Day inspiration! So gorgeous Jen!!! Love it all! Thank you Randi! I am so glad you stopped by! Jen, this is just so lovely and special! 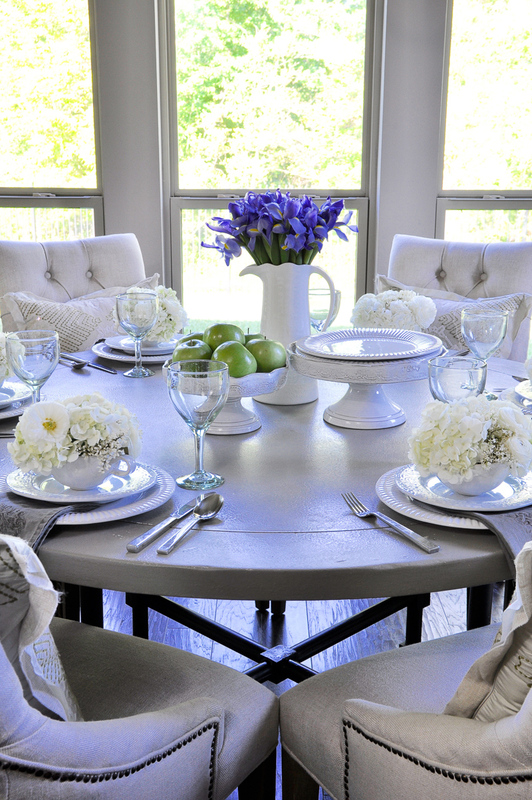 I love everything about your elegant table – it sets such a perfect tone! Thank you Kathleen! I truly appreciate your kind words. Thanks so much for stopping by sweet friend! Thank you Kristy! I think purple, green and white much be my favorite combo! I’d love to see a picture of the teacup floral you made for Emma! I bet it was so pretty! Jen! Can’t believe I never commented on this!! 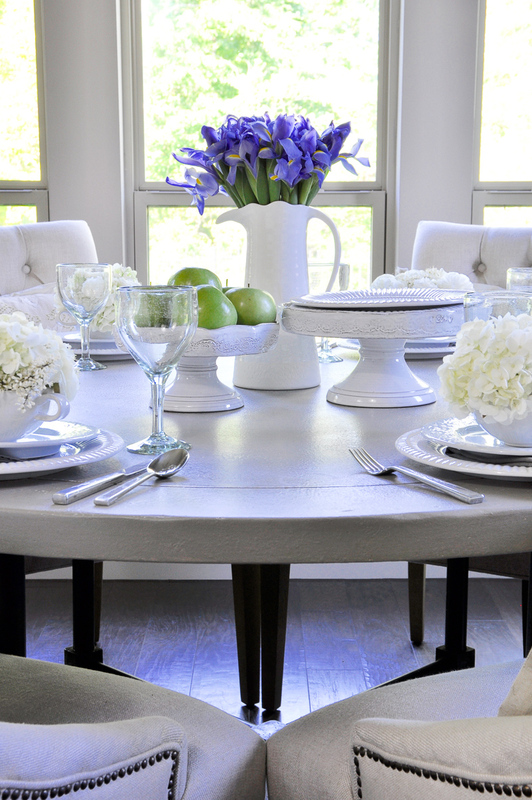 It’s absolutely perfect…your words and your beautifully styled table. Hope you have a happy Mother’s Day my friend!! Thank you Bree! I hope you have a Happy Mother’s Day too!